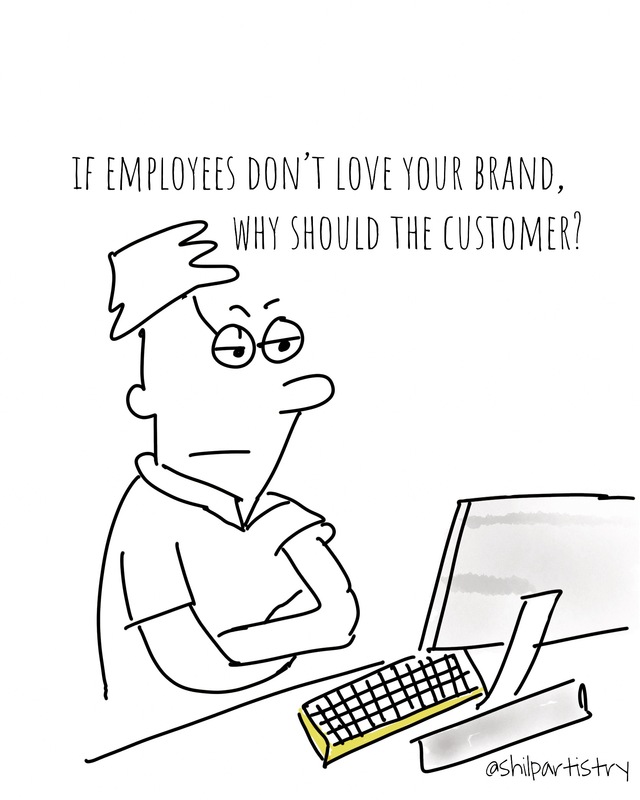 What does your employee think of your brand? We spend so much time racking our brains to get into the heads of our consumers. I’m not advocating that spending money on focus groups and social listening, is a bad thing. Instead, I’m asking if you have considered looking into your own office, factory, or warehouse? What does your average employee think of your brand? Forget about the marketing department, or the eager beavers of the company. Go to other departments; ask the receptionist, the accounting guy, or warehouse clerk. Their opinions matter. After all, who’s a better brand ambassador for your company? Shouldn’t it be the people who actually work for the company? This is word-of-mouth referral at its best.